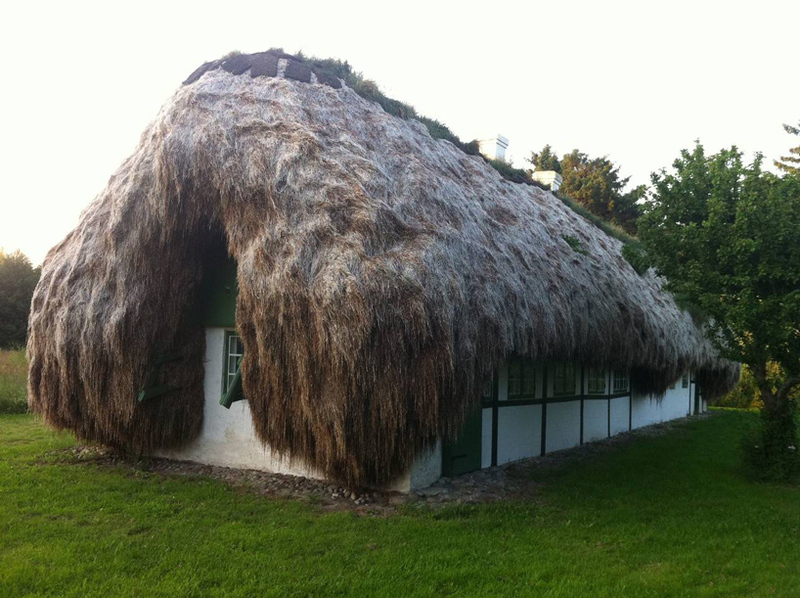 the newly restored andrines house stands as one of the original seaweed houses on læsø, an island off the coast of denmark. 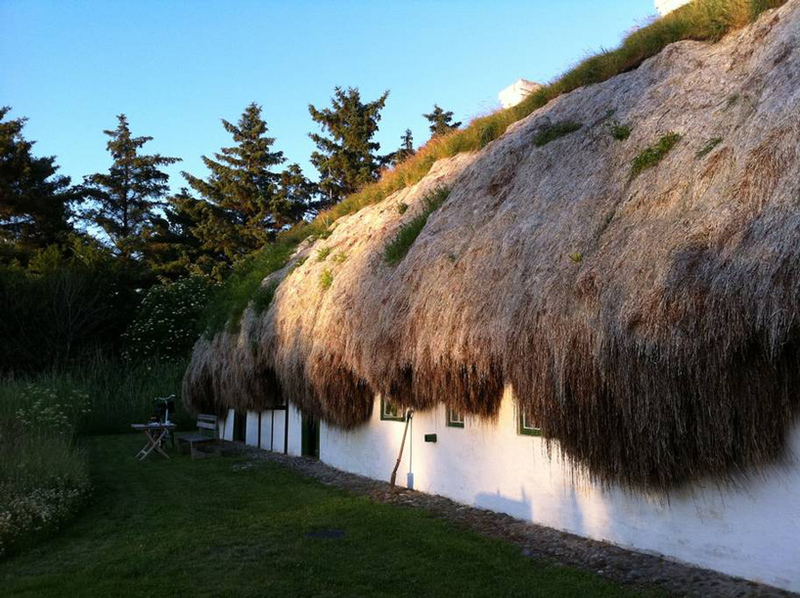 the house is believed to have been built around 1790, though the exact year is not known. 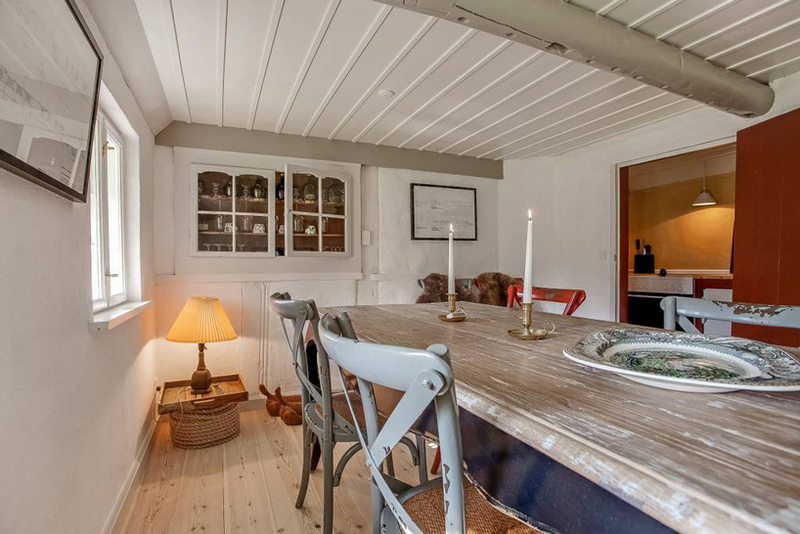 it had been protected in 1989 and has now been renovated with great respect for its original details. 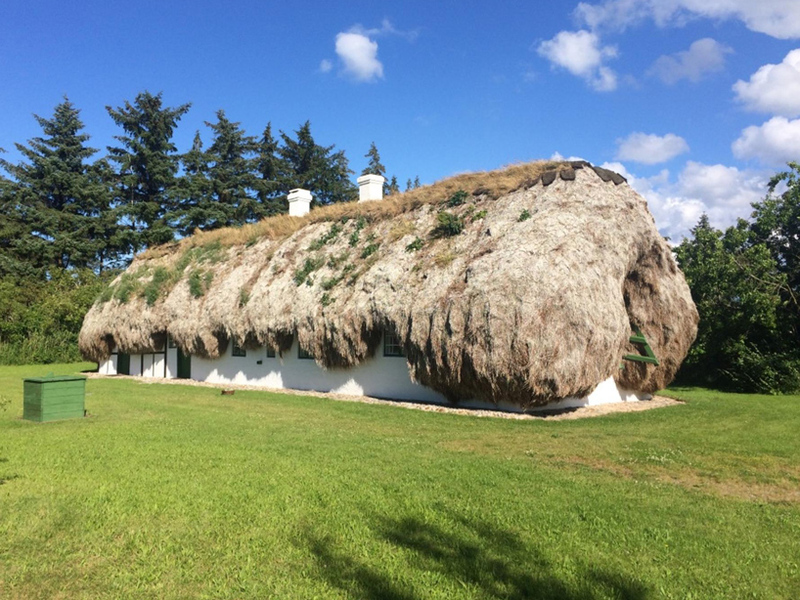 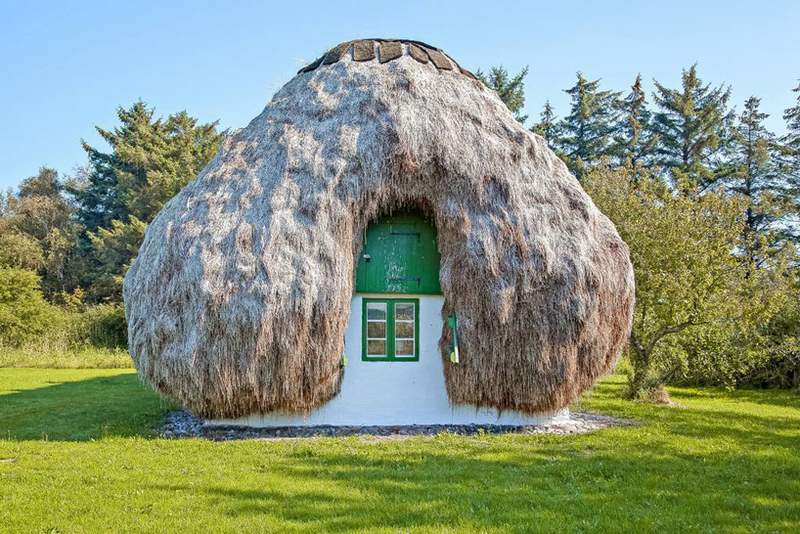 the most prominent among these details is the new roof, reconstructed in the traditional style with over thirty-two tons of seaweed which provide the interior with geothermal heat. 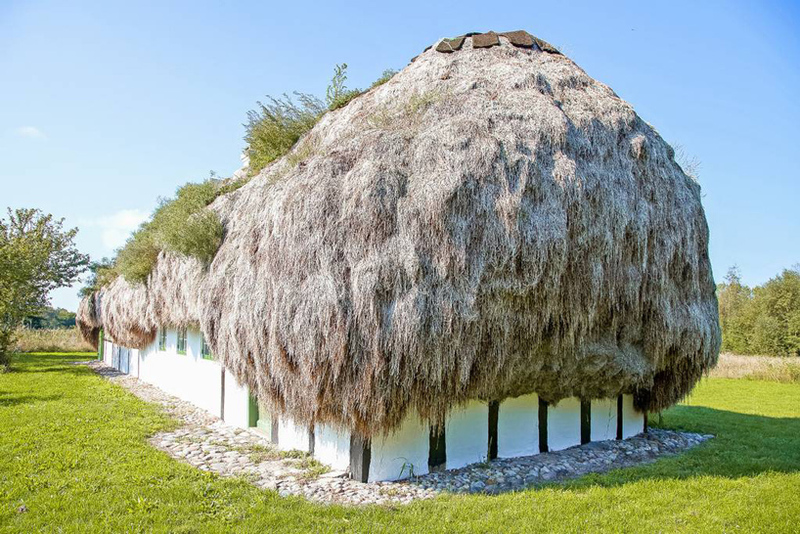 listed by adam schnack, the project serves as a reminder of a cultural heritage which, over time, has helped to put læsø on the architectural history map. 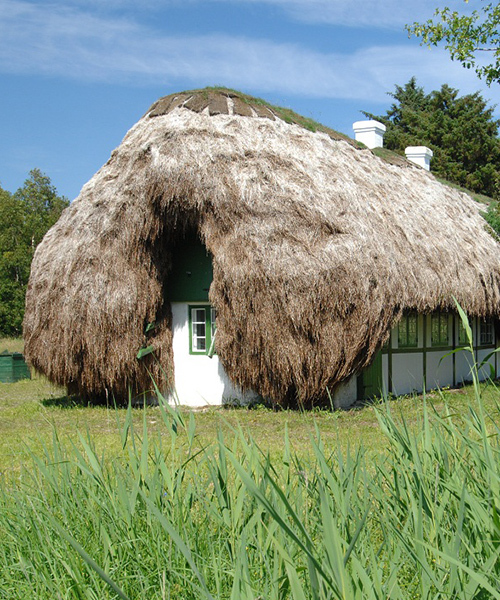 the andrines house is the first in a series of restorations by the cultural board in cooperation with the late erik einar holms. 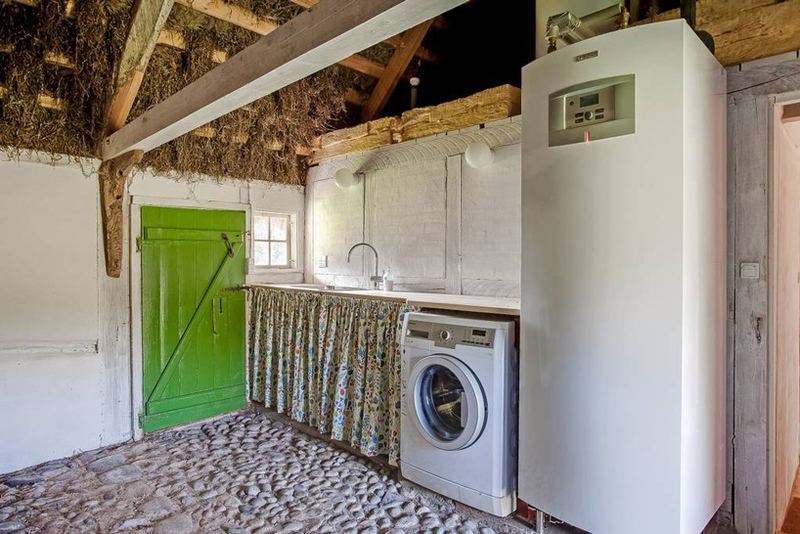 contemporary amenities have been introduced to the cottage, which is listed on airbnb, while maintaining a great respect to its traditional qualities.